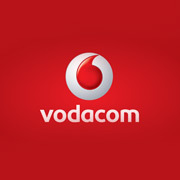 We aim to put each and every South African in touch with the Vodacom experience. With over one hundred branches nationwide, we are clearly growing to meet your needs. We specialise in: Cellphone Upgrades, Contract Connector Packs, Vodago Starter Packs, 4U Prepaid Packs and Recharge Vouchers. We have the widest range of the latest cellphones and accessories, and with our expert customer care and service, all your cellular needs are guaranteed to be taken care of. We also offer motivated and enterprising South Africans the opportunity to become independent players by becoming Vodashop franchisees. Full operational training and support is provided, as well as advertising support. In the words of Shameel Joosub, managing director of the Vodacom Service Provider Company: "The franchising route has played a major role in helping us build the effective distribution we have. The Vodashop channel has been a key part of the Vodacom success, and a strategic decision to create the Vodashop franchise channel has bred success for both parties. The passion, commitment and drive of the franchisees has elevated us to where we are today." So if there isn't a Vodashop near you yet, rest assured there will be soon.